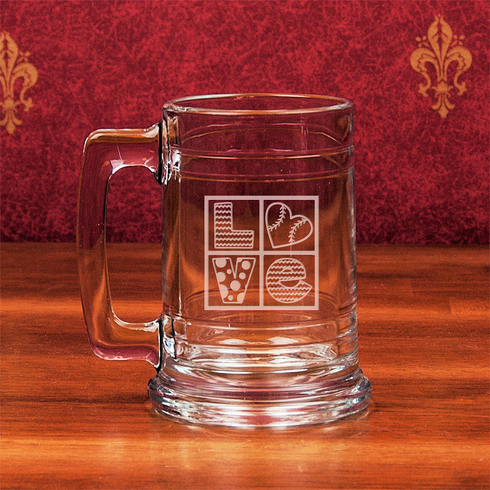 15oz Colonial Glass Tankards with engraved baseball love graphics! 2 designs to choose from! Great gift for anyone who loves baseball!